For politicians, rolling up their sleeves is a way of signifying they’re a relatable, hardworking Average Joe. For magicians, it’s to show there are no rabbits tucked therein. For everyone else — including magicians and politicians, presumably — it’s all about trying to stay cool (and maybe also to look hot). But does this trick actually cool us down in any perceptible way, or is it just for show? 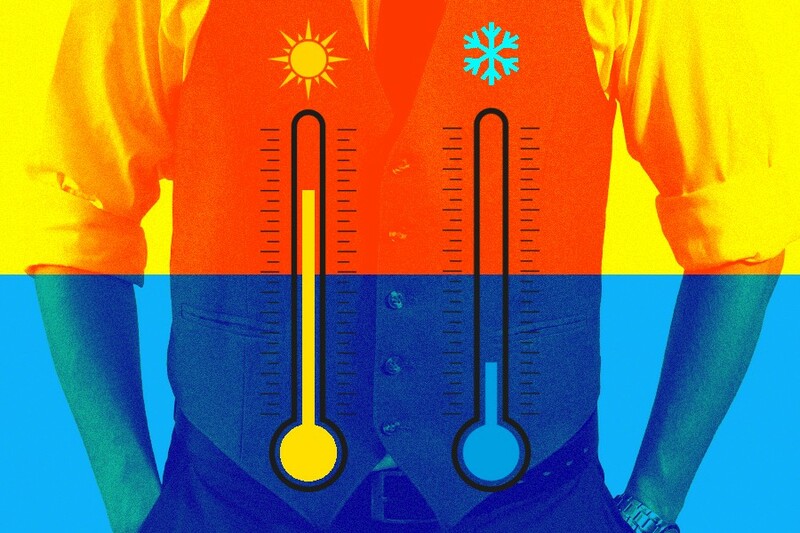 According to Albert Vallejo, an assistant professor of clinical family medicine at the University of Southern California with a background in exercise physiology, rolling up your sleeves does, in fact, help to lower your body temperature. You may see, when you roll up your sleeves, that the veins in your forearms are more noticeable than usual. That’s because your body is pumping more blood to this area in order to get it closer to the surface of the body, where it’s more easily cooled. A simpler way to think about it, according to Vallejo, is to imagine your body as a car. “The more the oil circulates and water circulates, the cooler the engine stays. It’s the same thing here. If you get blood closer to the surface, the environment is like the radiator — it helps keep the body cool,” Vallejo explains. He warns, though, that there is a wrong way to roll up your sleeves if the point is to cool down: “If you roll up your sleeves and you’re wearing a tight shirt that constricts your arms, the blood is going to have a slightly harder time getting through.” So the ideal way to roll up your sleeves if you’re overheating is loosely, so the blood can get in and out of your arms without any interference.